Web hosting is a service that allows businesses or the individuals to post a website on to the Internet. Every businesses have their website online which explains about their services and products. A web hosting service provider company is a business that provides the technologies and services needed for the website to be easily viewed on the Internet. Websites are hosted on special computers called servers. 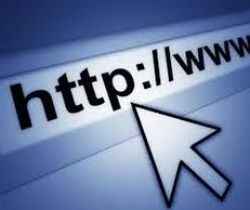 When Internet users(visitor visits the website using the browser) want to view your website, all they need to do is type your website address into their browser(Internet explorer, Safari, Chrome etc). Their computer will then connect to your server and your webpages will be delivered to them through the browser. In most of the cases web hosting companies require that you own your domain name in order to host with them. If you do not have a domain name no problem the hosting companies will help you purchase one. Shared Hosting is best suited for less intensive websites such as blogs, personal websites or small informative websites. However, you can use Shared Hosting for business website although we recommend Cloud Hosting for such applications. Shared Hosting means that your website is hosted on a single machine that also serves other websites owned by other web hosting customers. So, it often depends upon the traffic to other websites on the platform. Cloud Hosting is ideal for performance intensive, high traffic websites such as eCommerce and media orientated websites. There won't be any dependency as that of the Shared Hosting. Performance wise it is better because Cloud Hosting utilises multiple machines to deliver website content which is known as a server cluster. It will help the website to ensure quick performance. If your applications has specific requirement then you can use VPS hosting which is suitable for practically all hosting applications. Virtual Private Servers (VPS) allow you to host your website on your own dedicated virtual machine. This means that the resources (CPU/RAM) are solely used to deliver the content that is hosted on your Virtual Private Server.